This past May, local people and underwater photographers of Keauhou Village in Kona, West Hawaii witnessed how fishermen damaged the Kona coral reef, while trying to capture a beloved school of Akule, a local species also known as big-eyed scad. 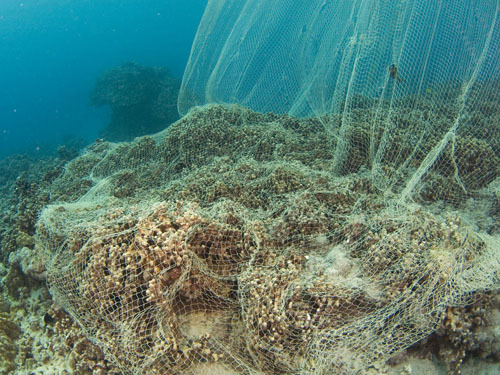 The locals took underwater photographs that show how part of the stony reef had been pulled out, during the process of setting the nets, in a practice depicted as "destructive". 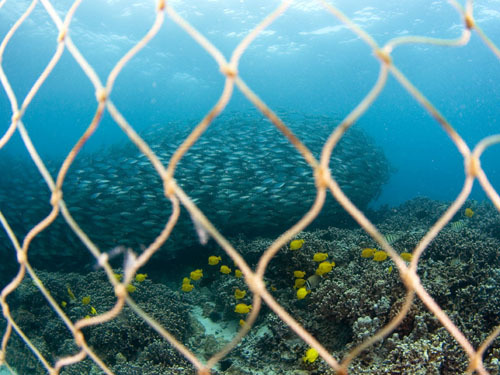 The images show pieces of coral lying on the bottom of the sea, the nets deployed and entangled in the reef, and some fish trapped in them. A clear shot of a net deployed to catch and kill these fish. The school has been a favorite of underwater photographers for many years, and has grown large lately so it's attracted more photographers, and others. Photos by Bo Pardau. 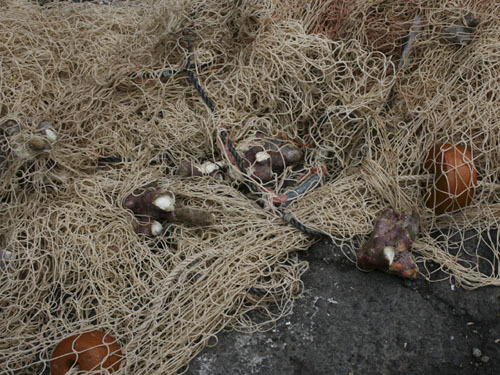 Important damage to the local ecosystem caused by destructive fishing, photo by Bo Pardau. Photographer Cynthia Hankins was able to capture some photographic evidence while the fishermen were still there. Right after the fishermen left, Bo Pardau, another Kona underwater photographer and diver, took some photos of the broken coral reef and the nets that had been left behind. The local residents submitted a formal complaint to the Department of Land and Natural Resources Division of Conservation and Resource Enforcement, with the intention that those responsible of this aggressive fishing practices should be penalized for the irreparable damage inflicted in the coral. It is worth noticing that the reef is protected by Hawaiian laws, and it is prohibited to cause any damages to the stony reef or mushroom coral. Hawaii's Fishing Regulations stipulate that fines can go up to $1,000 and/or 30 days in jail, plus up to $1,000 per specimen taken illegally. In 2008, a Maul tour boat company was fined with over half a million dollars for damaging the coral reef. 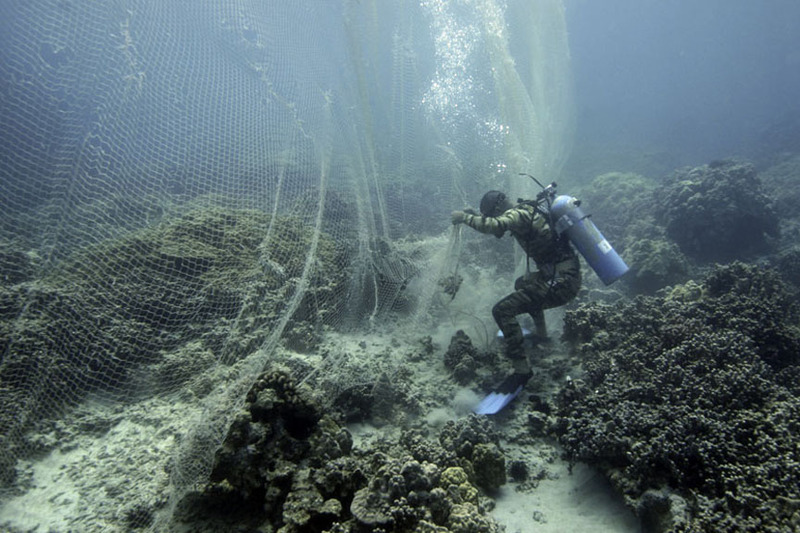 To try to ensure a capture of the massive school of fish, divers set the nets. Luckily they were caught red-handed. Photo by Cynthia Hankins. The reef and its flora and fauna are protected by local laws. Here is some live coral caught in the net. Photo by Bo Pardau. Akule is a fish highly appreciated by the local residents and divers. 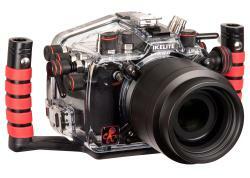 Akule schools can concentrate over a thousand fish, and have become one of underwater photographers’ favorite subjects. Bo Pardau has managed to get some spectacular shots of Akule schools, like the one we reproduce today. 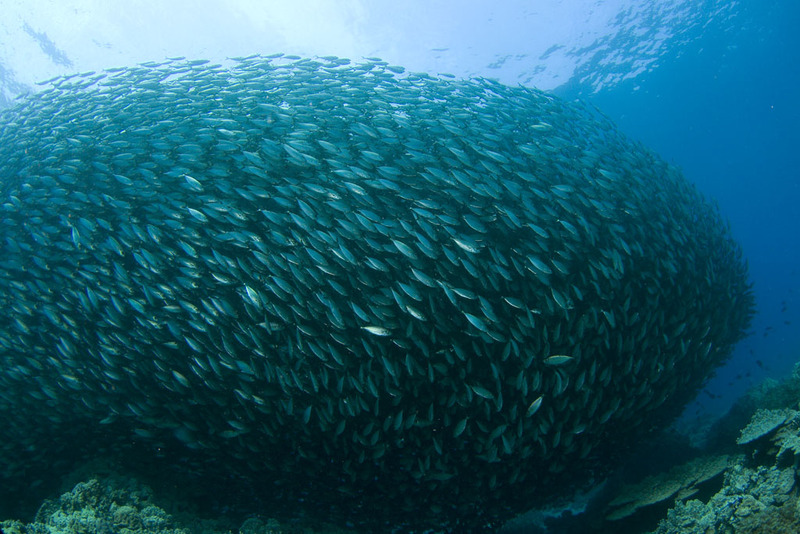 Akule fish pack up in a tight formation as a defensive strategy against the many natural predators that endanger the species. Sadly, we have to count human beings as part of this group. A magnificent and beautiful shot of an Akule school, photo by Bo Pardau. 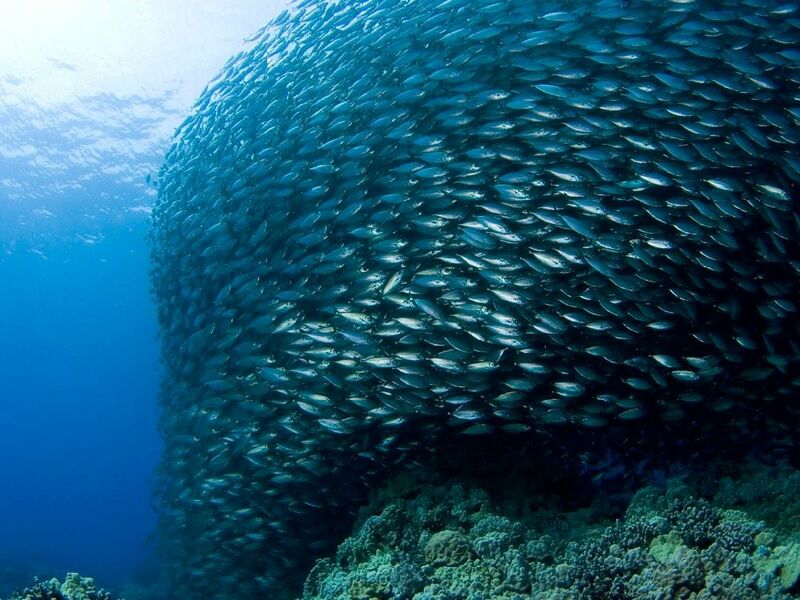 Amazing underwater photo of the huge school, almost looking like a single being with its compact shape. Luckily the school is still alive and well for the moment. Photo by Bo Pardau. So far the Akule school is still intact and no one has attempted to recapture them yet. There is an ongoing investigation into the coral reef damage, and let's hope that it progress is a fair and just manner. The Kona Underwater Photographic Society has been trying to keep an eye on the school and do what they can legally to protect them and the coral, although it is legal to capture this beautiful school with a proper permit. Submitted by Anonymous on Wed, 2010-10-27 23:35. Submitted by Anonymous on Tue, 2010-06-29 19:12. Submitted by Anonymous on Wed, 2010-06-30 12:29. Good to know, Marty, thanks for keeping an eye on them.